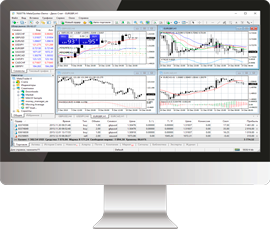 Trading platforms - NTFX Capital Ltd.
MetaTrader 4 client terminal is intended for trading operations and for different types of analysis, such as technical, fundamental or volume analysis. Several available order types allow for flexible trading in a variety of instruments. Internet trading is available any time everywhere, for free. 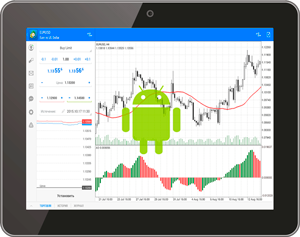 MetaTrader 4 FOREX-trading technologies available on all Android OS devices, together with all kinds of trading orders, trading history, interactive graphs and indicators. Trading is where you are with Android MetaTrader 4. 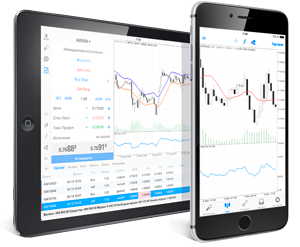 FOREX Internet-trading is available via iPhone/iPad with MetaTrader 4 iOS. All types of trading orders, 50+ technical analysis tools, convenient traders chat and push-notifications available for you. Trading is where you are with iOS MetaTrader 4.